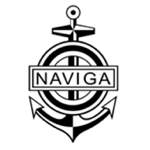 This is a very special competition, since it will be done in Naviga sections M, S, and NS.. Please note: You are not expected to bring your own boats to the competition. You will get boat kits (radio included!) from the organizers! This is a perfect opportunity to bring your juniors with you to meet and compete with juniors of other countries!